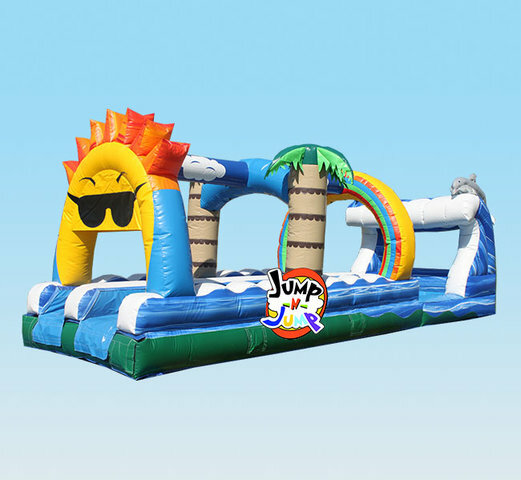 Cool down in that hot summer sun with the all new Paradise Sunshine Slip and Slide. Two lanes of Slip and Sliding fun with a pool at the end!! This is a must have for any summer event. Must be setup on grass. Customer is to provide a hose to the location of the unit. First fill the pool then hookup the soaker hose to maintain wetness on slide area. Book yours today!